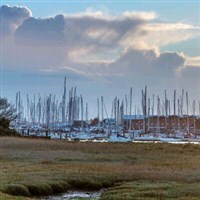 We enjoy a 2 hour cruise along the River Hamble with Blue Funne Line with a commentary on the history of the river. Enjoy a 2 hour cruise along the River Hamble with Blue Funnel Line with a commentary on the history of the river. A fish and chip lunch is included along with tea/coffee.